● Shop the Pricebreaker Deals to find last-minute offers at up to 50% off the original price. ● Sign up for a rewards membership and start earning points that can be used towards future Priceline purchases. ● Participate in ‘Name your own Price’ and bid on hotels, flights and cars to save up to 40% on flights and cars and up to 60% on hotels. You can put in your offer and the companies will accept or deny it. This seems to be a great option for last-minute deals when perishable vacancies need to be filled to cut losses. ● Book a vacation package and save up to $500 compared to booking the elements separately. Packages can consist of hotels, flights and rental cars. ● Many coupons for Priceline exist, with the most common discounts ranging from 5% off ‘Name your own Price’ hotels to 10% off bookings sitewide. Some coupons come with minimum purchases; however, these can be as low as $300. Priceline is a website where you can find the best deals for hotels, cars, cruises, flights, and vacation packages that are available on the internet. You will be able to search for the specific luxury that you need and then receive an array of prices that you can browse through. In order to make sure that you are choosing the right place to book, sort through the results by price and by rating. All you will have to do is provide a small amount of information such as your destination, your check in and check out dates, and the amount of rooms that you will need. 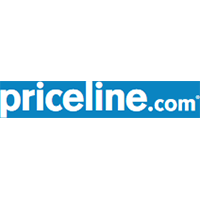 For most up to date offers check out Priceline on Facebook and Twitter or contact Priceline Support for any questions.